A plea to listeners to dig out old recordings has uncovered some classic radio moments thought lost forever. More than 50 hours of comedy, music and drama has been sent in to the BBC by listeners including an episode of The Archers from 1970. Among the prize finds is an entire comedy series starring Kenneth Williams and a piano recital given by actor Gregory Peck. Some will be played on Radio's Lost Property show on Radio 4 on 1 November. 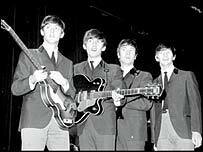 Music performances uncovered include a Beatles recording from 1963 and a Rolling Stones gig at the Royal Albert Hall in 1963. The BBC radio and television archives have many holes in because technology of the day did not offer easy storage, meaning much was thrown away. This has been seen most notably in the lack of Top of the Pops episodes, with only four programmes surviving from the 1960s. The radio archives have often suffered a similar fate but the advance in technology means home recordings sent in by the public can now be "cleaned up" enough to bring them up to broadcast standard. Archivist Jonathan Dann told the Sunday Telegraph: "By using computer software we can improve the quality of the tapes by removing hissing, clicks and crackling." 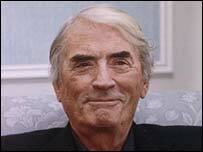 The Archers episode from 1970 introduces Brian Aldridge, who has gone on to become one of the soap's longest serving characters. Among the comedies uncovered are the series Radio Five, featuring Eric Idle, and I'm Ken and He's Bill, starring Peter Cleall, Derek Seaton and Patricia Hayes. An earlier plea for the public's help in filling archive gaps produced two episodes of Dad's Army that had previously been thought lost.